Dok Champha = Champah flower in Thai and Lao speaking. Duan Champah is called in Lao area. Known as name of the flower ” Leelawadee ” or ” Luntum ” in Thailand. But it just seems so similar but not the same one. Dok Champah/Duan Champah has a bit different design and smell stronger with nice flavor. It says that the smell make people crazy with nice flavor. Thank you so much for visiting this web space now. These all linked songs are coming from YouTube and my YouTube friends. I really wish that you gonna have good time to listen nice music here. Hopefully you will find favorite unknown songs in this space. Would like to be the entrance to the new music world for you. Lao singer : Lao original song but also famous in Thailand too. 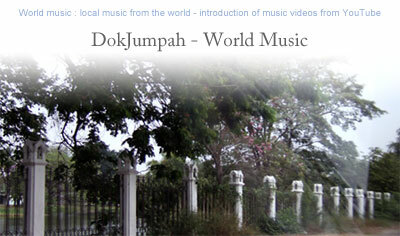 I am residing in Asia, so naturally you will find many beautiful Asian songs here what I love. I hope you would enjoy it.